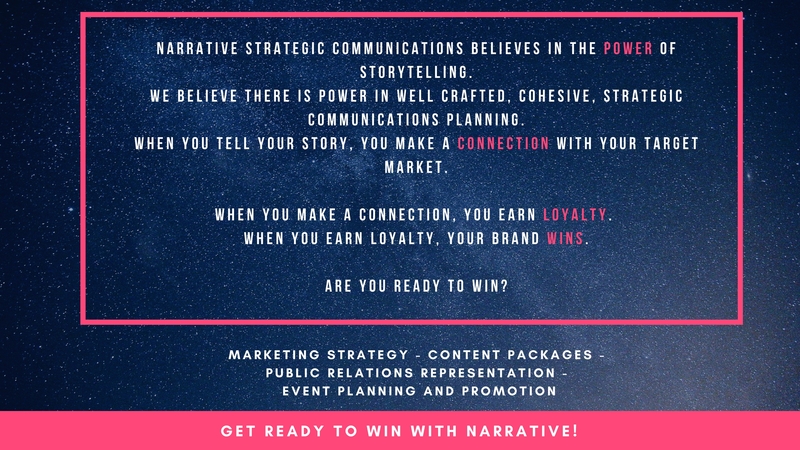 Narrative Strategic Communications is a world-class Marketing agency in Greenville, South Carolina. Narrative builds content strategies that get results. We craft social media that has your target market talking. We provide Public Relations representation that enhances and builds your reputation. Narrative was officially incorporated in the Fall of 2016, but it was in development for many years prior. As a student at Clemson University earning her Bachelor of Science in Marketing, Meredith knew she wanted to be the person behind brands, bringing their story to life. When the first few jobs out of college didn’t provide the creative work she had trained to do in her time at Clemson, Meredith never gave up. Finally, after paying her dues in outside sales and internal communications at Michelin, Meredith had her chance. The call she had been waiting for finally came. A Marketing Director in Michelin’s Agriculture Division needed a Communications Manager and she wanted Meredith to apply for the job. As they say, the rest is history, or more appropriately, the future. Meredith thrived in her role as North American Communications Manager for Michelin Agriculture, and won multiple industry and company awards as she led her team through many rounds of new product launches, trade shows, media opportunities, a website re-design, and even launching the first mobile app for the brand. It wasn’t long before someone outside the tire world took notice and Meredith was receiving calls from a recruiter for a company that owned the world famous Bubble Wrap. In her next step, Meredith launched Sealed Air’s Social Media strategy and began communicating to the world about Sealed Air’s sustainability leadership. She led the development of three of the Company’s annual Sustainability Reports, and built lasting relationships with key industry, business and sustainability media that allowed Sealed Air to tell their story when it mattered, to the people who needed to hear it. The story doesn’t end there. In fact, it’s only the beginning. Meredith took her experience with the world’s most respected brands, her passion for creative storytelling, her knack for strategies that get results and her fire for winning and she launched Narrative Strategic Communications. Narrative is the result of over fifteen years of experience. Narrative is an opportunity. An opportunity for your business to experience world-class Marketing capability with a personal touch. An opportunity to talk to the person crafting and executing your Marketing strategy without worrying about the clock ticking each time you make a call or send an email.